Lesson by Laura McClure, animation by Karrot Animation. Hiring a tutor for your child or for yourself can be both a confusing and complicated matter. There are at least 2 million tutors in the United States. These individuals may be independent private practice tutors, or they may work for a larger practice, a franchised practice, a community program, a faith based program, or a school based initiative. Whether volunteer or paid, all tutors should abide by the standards of practice and code of ethics as set forth by the National Tutoring Association. All tutors should be trained and certified in the professional practice of tutoring. So how do you know who will be the best fit for your student? Who will deliver the services best suited for your student's needs and goals? Tutors not only deliver content information, they motivate, coach, challenge, and provide feedback to students. Well trained and experienced tutors work with the student's overall study skills, not just the academic assignment at hand. Hiring a tutor should be approached in the same manner as hiring any other professional. Ask questions, look carefully at references, and use your instinct as to whether this tutor is a good fit for your student. Your student should be present at the initial interview so that you can receive feedback from your student before making a final hiring decision. Ask about the following . . . .
* Credentials - Don't be afraid to ask for proof of credentials, i.e. transcript copies, copies of state teaching certificates, tutor certification, proof of other specialized training. Ask the tutor to provide a complete resume. * A Tutorial Plan -- Give the tutor a list of your concerns and goals for your student. Ask the tutor to offer a basic plan for how he or she will assist your child. How will the tutor conduct an initial assessment of your student's academic needs and challenges? How will success be measured? When will feedback be provided to you and/or the student's teacher? * Letters of Recommendation -- Make sure that the letters speak to the person's ability as a tutor and not just matters of general character. Letters should be current and include full contact information for the person making the recommendation. Above all, make the calls necessary to verify these recommendations. * Demonstration -- Watch the tutor guide your student through a small portion of one lesson. How does the tutor approach the student? Where does the tutor sit; does the tutor respect your child's personal space? How is the tutor's intent conveyed to your student? Does the tutor write on your student's paper or does the tutor allow the student to make corrections as needed? Is your student allowed to ask numerous questions? Is the tutor patient, professional in mannerism, tone of voice and information delivery? Does the tutor give your student time to process and answer the question before offering the solution? Does the tutor offer sincere praise? * Fees - Ask the tutor for a detailed pricing plan, i.e. how many sessions at what cost per session. Be sure you are clear about payment requirements, rules about missed appointments, and miscellaneous fees for testing and materials. * Location -- Where will the tutor meet your student? At your home with supervision? In a public place such as a library? In a dedicated learning center? Tutors should never meet with your student in a location where there is no other adult present. * Insurance -- Does the tutor carry professional liability insurance? Has the tutor been recently background checked? * Professional Affiliations - To what professional association does the tutor belong? How does the tutor participate in the overall improvement of the tutorial practice? Does the tutor stay current regarding innovative methods and strategies? * Additional Questions -- How long have you been tutoring? Why do you enjoy tutoring? How many students are you currently working with? When do you become frustrated with students? How do you communicate with a student who clearly isn't "getting it"? How do you define your role as the tutor? What is my role as the parent? How will you communicate with my student's teacher(s) and how often? Finally, if any red flag sends off an internal warning signal, do not hire that tutor. You are the person who knows your student better than anyone else. You and your student must feel comfortable in this tutorial relationship. The bottom line is that no matter who recommends the tutor, interview more than one tutor if you have any nagging thoughts in the back of your mind when making the hiring decision. When we talk about ‘English’, we often think of it as a single language. But what do the dialects spoken in dozens of countries around the world have in common with each other, or with the writings of Chaucer? Claire Bowern traces the language from the present day back to its ancient roots, showing how English has evolved through generations of speakers. Lesson by Claire Bowern, animation by Patrick Smith. Does Your Child Need Math Help? How can you tell the difference between when your child is just having a little trouble understanding the material being presented in his new math class and when he really needs math help? There are several signs that you should be looking for that may indicate that his problem is serious and isn't going to go away on its own. If your child is lost and confused, is suffering from a lack of motivation, is pretending to be sick in order to avoid school, gets anxious at the thought of a test, or gets upset when you try to help then it may be time for you to consider getting him some math help. If your child is lost and confused when faced with a new subject then he may need some help taking those first few steps and getting a solid foundation built in order to continue making progress. This type of situation arises especially at the time when a student is beginning high school. It will likely be the first time that he is faced with any type of advanced math study. It is very easy to be confused by a new subject and math is exceptional in this respect because it is different than any other subject, being both cumulative and conceptual in nature. If he is lost in his new studies he can benefit from a little math help. If your child is truly struggling in math class it can lead to a lack of motivation on his part toward school work in general and toward math in particular. If you notice that all of his other homework seems to be getting done quickly but that his math book seems to just sit there unopened then that is a very good sign that he needs math help. It is human nature to avoid anything that makes you feel uncomfortable. Does he wake up in the morning and tell you that he is sick in order to get out of going to school. Faking an illness is usually a symptom of more than just a dislike for school. There are almost always underlying issues and if you have already noticed that he is having trouble in math class then it will be a very good idea for you to get him some math help. Does he wake up on the morning of a test and really is sick to his stomach? This is a sign of anxiety and should be taken very seriously. Getting him some math help will put him at ease and allow him to relax and score better on the test. The only group of people that your child is more afraid of thinking he isn't smart than his friends is his family. If he refuses the help that you offer him with his math homework it is a very good indicator that he is having struggles. Just be sure that he doesn't believe you are going behind his back when you get him some math help. If you have any question that your child may be having difficulties in math class then you should be seriously considering getting him some math help. 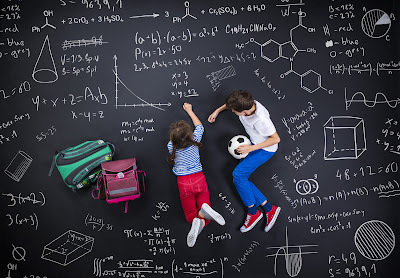 Everyone can use a little help occasionally and when he is no longer struggling to understand his course work he will thank you for getting him math help. Anton Lebedev is the director of Plus Plus Tutoring, a private tutoring service that provides math help. It’s often said that despite humanity’s many conflicts, we all bleed the same blood. It’s a nice thought, but not quite accurate. In fact, our blood comes in a few different varieties. Natalie S. Hodge defines the four major blood types and sheds light on why some bloods can mix while others cannot. Lesson by Natalie S. Hodge, animation by Brad Purnell. 1. Innovative Learning Activities: Tutoring is considered a supplemental educational service, which means that tutors must seek innovative teaching and tutoring techniques to ensure that learners are able to master concepts from teaching resources that have not been used. Most tutors develop their own curriculum or find learning resources that learners have not seen in the classroom resulting in increased student achievement and effective tutoring sessions. 2. Get Personalized Instruction: Individuals who seek tutors are able to work with them one-on-one or in small groups. While small groups work and have many benefits to learners, the best type of tutoring scenario is one-on-one instruction because tutors are catering to the learner's needs. If individuals are struggling in a subject, then they should opt for a tutor who conducts individual tutoring session to get the best bang for their buck and data-driven tutoring sessions. 3. Ask all the Questions You Like: Tutors are very friendly and allow learners to ask all the questions in which they like so that they are able to better understand the material and truly help the brain make a connection. Individuals should ask all the questions that they need to get the most out of a tutoring session and these questions provide rich data to help tutors make data-driven decisions to ensure that learners are learning in tutoring sessions. 4. Affordable and Quality Instruction: Depending on the subject, tutoring can be expensive. However, there are ways to find affordable and quality tutoring sessions. Individuals looking for a tutor should look at their experience, call references, and check out success rates to determine if it is feasible to pay the tutoring rate for tutoring services. It's very important to focus on affordability, then quality to determine if specific tutors should be hired to help either you or your child. The bottom line is that most tutors are affordable and do provide quality services and individuals do not have to use them long-term. However, it is recommended that all individuals finish out the recommended tutoring program to see real results. 5. Increase Confidence in Learning Again: Tutors are a great way to help learners build their confidence again. Tutoring is a platform in which learners are able to take their time and make mistakes without penalty. Tutors are able to focus on each individual client rather than several groups of learners. Individuals who are struggling in any subject should consider hiring a tutor to help them become a better learner and gain more confidence in their learning abilities. Alicia Holland-Johnson, EdD, is a proud mother of two beautiful daughters and an educator with ten years of teaching experience at all levels, including university teaching. 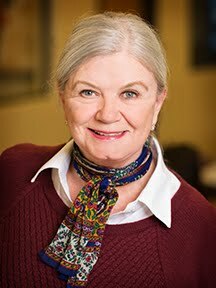 She also works as a professional tutor at iGlobal Educational Services, Inc. ( http://www.iglobaleducation.com ) and a consultant in the education industry. Her passion is helping individuals believe in themselves and go far. To receive a free special report, join the blog at http://www.becomingabettertutor.blogspot.com. Do animals think? It’s a question that has intrigued scientists for thousands of years, inspiring them to come up with different methods and criteria to measure the intelligence of animals. Bryan B Rasmussen navigates through this controversial question, showing how determining intelligence often says more about how humans think than about anything else. Lesson by Bryan B Rasmussen, animation by Mike Schell. It can be tough finding the right tutor to fit your child's needs. Let us help you ask the right questions and find the right match. 1. Know your child's needs: The real key to finding the right tutor for your child is knowing what kind of help your child needs. Just because his or her grades are slipping only in math, doesn't mean that your child isn't struggling with other subjects. Do your homework by checking your child's homework and having concrete examples and problems to discuss with potential candidates. The only way to find a qualified tutor is to hire them knowing what you'll need. You don't want to be stuck with only a math tutor when your child needs help with writing, too. 2. Know the market: Every community is different, so finding a tutor can take several different forms. In a university town, many parents turn to college students to get their students the help they need. However, college students often have different priorities and are inexperienced in being an independent contractor. An alternative might be going to a tutoring center, but your child might not get the one-on-one attention that he or she needs to rebuild crucial foundations. Some cities have companies that offer one-on-one tutoring in your home at prices equivalent to group centers. 3. Know what questions to ask: In order to find the right tutor, there are a lot of factors that need to be considered: areas of expertise, training, experience, and personality. If your child has special needs, you need to make sure your tutor has experience working with children with your child's specific disability. Often, experience with one does not translate into being able to help with another special need. 4. Involve your child: At the end of the day, you need to find a tutor that your child will listen to and respect. If you get your child invested during the entire process, it's much more likely that he or she will bond with the tutor and commit to creating positive habits through the guidance of their new tutor. As a role model, tutors really need to click with their students in order to maximize their teaching and coaching. 5. Be patient:Finding the right tutor can take time. Make sure you don't settle for a quick fix that might end up being inexperienced or ineffective. Your child's future is worth the wait. 6. Do a background check:Unfortunately, not everyone who wants to work with children has the best of intentions. If you go through a company, make sure you ask them to provide a copy of a recent (within one year) background check. If you hire one on your own, you are entitled to ask the tutor to submit to a background check. If they balk, make sure you walk away. Your child's safety is paramount. 7. Get your child's teacher involved: In many ways, finding a tutor is like finding a second teacher-- someone to work in tandem with parents and teachers to ensure your child succeeds. If you make your child's teacher aware that you're looking into tutoring and that you would like his or her input, the teacher might be able to shed light on the underlying reasons for your child's issues. This information can prove invaluable for rebuilding foundations and reforming negative habits and attitudes. 8. List your goals: In order to find a tutor that understands where you want to go and what you want for your child, you need to be able to articulate specific goals -- both short-term and long-term. These goals could be something simple, like "I want my child to write his homework in his planner everyday" or they could be more comprehensive, like "I would like my child to improve her science grade from a D to a B." You should list a variety of goals, keeping in mind that it's about more than grades. It's about building solid foundations and good habits. 9. Remember experience counts: Finding a tutor with experience can be a challenge if you don't go through a tutoring company. You need to keep in mind that just because someone gets straight A's in a subject doesn't mean they can teach it. You should look for someone who has the attitude of a learning coach with a holistic approach to tutoring and experience working with children you are struggling. For many smart people, they are easily frustrated when a child doesn't pick things up as quickly as they think they should. Patience and experience are key. One way to find out if your tutor has what it takes it to check references. 10. Monitor progress: It's not over once you schedule your first session. You need to make sure your child is responding to the tutor you've chosen and that the tutor is working toward achieving the goals you've set together. It's not a set-it and forget-it thing. At the same time, you need to give the tutor time to get to know your child and figure out how to equip them with the knowledge and habits they need to succeed. Checking in with your child and the tutor after a month is a good way to measure how it's going. This could all seem pretty tough to do on your own, so there are companies out there dedicated to finding the "perfect match" for your child. At the end of the day, keep in mind that finding a tutor can be the crucial first step toward success for your child. To learn more about how to find a tutor, download my free guide, "7 Ways to Straight A's" to help answer all of the questions you may have as a parent or student. Kevin Patrick is the owner of www.tutorgainesville.com where his company provides private tutoring and assists parents in finding the right math tutor. Lesson by Emma Bryce, animation by Karrot Entertainment. 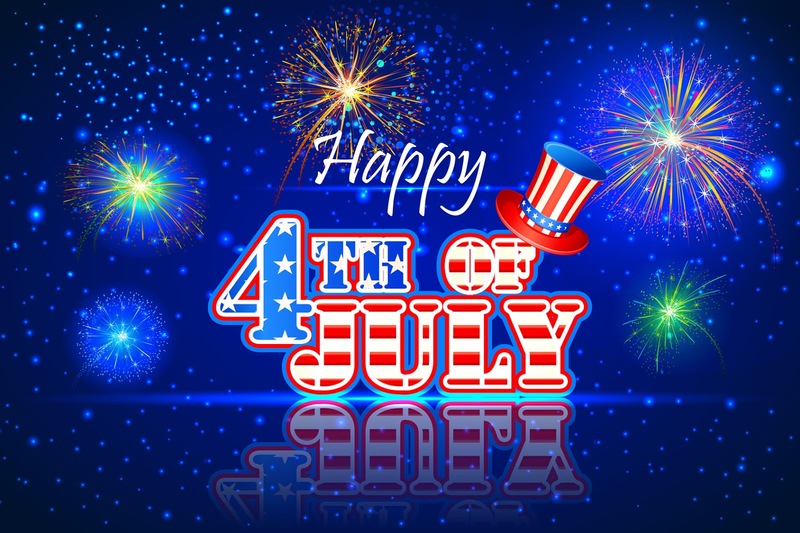 Wishing You and Your Family a Very Safe and Happy 4th of July!! Finding the right tutor for your child can be a difficult and time-consuming task. There are a number of factors you must consider during the selection process and it can be difficult to evaluate some of these factors without your child actually receiving some tutoring from the tutor. This article will outline the steps you should follow when searching for a tutor for your child. I hope these steps will speed up your search process and help you find the ideal tutor for your child. The first step in finding the ideal tutor for your child is to determine what type of help your child needs. If your child is weak in certain subject areas then you will likely benefit from finding tutors that specialize in those subjects. If your child has a learning disability then finding tutors specializing in learning methods for students with your child's learning disability will likely produce better results. It's also possible that you just want to help your child perform better in subjects across a wide range of subjects. Specifying the specific needs or combinations of needs for your child will help you narrow your focus when searching for qualified tutors. You'll want to find several tutors that meet your requirements as established in the first step. At this stage you're just looking to build a list of companies to research further. There are several places you can look to find potential tutors. School guidance counselors are good resources - they are likely to know several tutoring companies in your area and can help you find tutors that meet your child's needs. 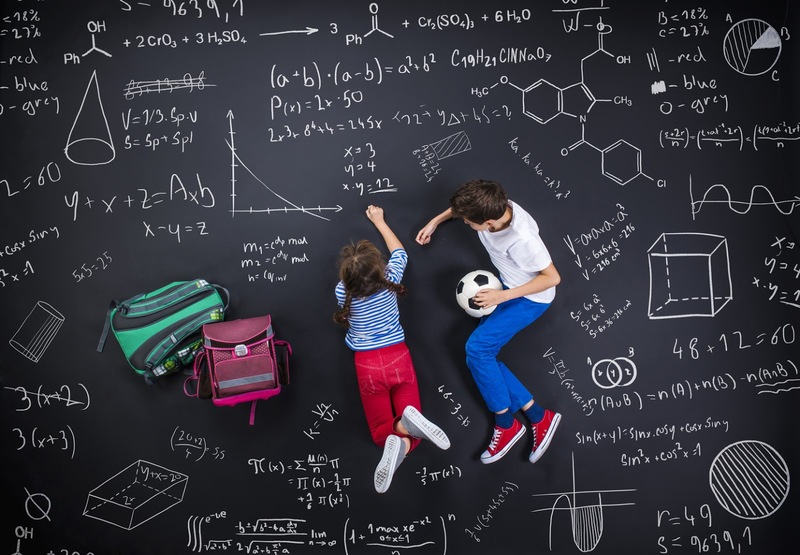 Asking other parents with children is another good source for finding tutoring services. They may have experience with tutoring companies and can vouch for the quality of different tutoring services. Online tutoring directories are also an excellent resource. Tutoring directories tend to have a large selection of tutors, reviews and they allow you to search by city or subject. You should now have a list of tutoring companies that meet your basic requirements (subjects, teaching methods, etc.). The next step is to go through the list and evaluate each tutoring service in more detail. Search online to see if the company has a website with more information. Search for reviews. In addition to your basic requirements there are other variables that you should consider such as the experience of the tutor, education, and their performance track record for past students. You can create a list of questions you want answered and call the tutoring company or tutor to find out the answers. Before you commit to anything you and your child should have a preliminary meeting with the tutor who would be teaching your child. This will help you evaluate how the tutor and your child interact, which can have a big impact on how well your child responds to the tutoring. After you have met with a few tutors weigh their strengths and weaknesses and make your final decision. It's important to have established methods for evaluating performance. Many tutoring companies have their own systems in place for establishing a baseline and evaluating performance over time. If the company you select does not have a system like this in place you should bring this up and create a list of goals and how you will measure improvement. This might include increasing test scores by at least one grade, advancing to a higher reading grade, etc. Once the goals and measures have been established make sure you regularly check the performance of your student against the goals. Keep in mind that improvement isn't instant, but if your child still hasn't improved over a month or two you should probably meet with the tutor to discuss a different approach that will get results or you should begin searching for a different tutor. Finding the ideal tutor for your child can be a time-consuming process, and it can be frustrating if you don't find a good tutor; however, by following the steps listed above you can greatly improve your odds of finding a good tutor on the first try. Christie Van Arragon is a tutor and education enthusiast that enjoys writing about interesting topics related to tutoring and education. If you are a tutor or own a tutoring company Christie invites you to evaluate this software for tutors for your tutoring company.